The Plastic Protest Continues: Natural History Museum Takes Action | To Work Or PlayTo Work Or Play | A blog of two halves: Lifestyle guidance for city-savvy socialites, and insight, inspiration and opinion for ad-curious folk. The war on plastic is in full swing. Now, one of the capital’s most famous museums has committed to joining the movement with canned spring water. There’s been significant movement in the fight against plastic in the past year. From the top levels of government, down to individual coffee shops and cafes ditching plastic straws and switching up takeout containers. Everyone can make a difference in the battle to stop the tons of plastic flooding the oceans around the world every day. In fact, if you’re not doing your bit already consider this – right now, there is more plastic than fish in our oceans today. Scary stuff. Back in November the Natural History Museum pledged to stop selling single use plastic water bottles. Nice idea right? Well, actually yes – especially when you receive over 4.5 million visitors every year – the majority of whom probably purchase some kind of refreshment. Even for those who don’t, the Museum is bringing the ‘plastic issue’ into people’s consciousness and raising awareness regardless. 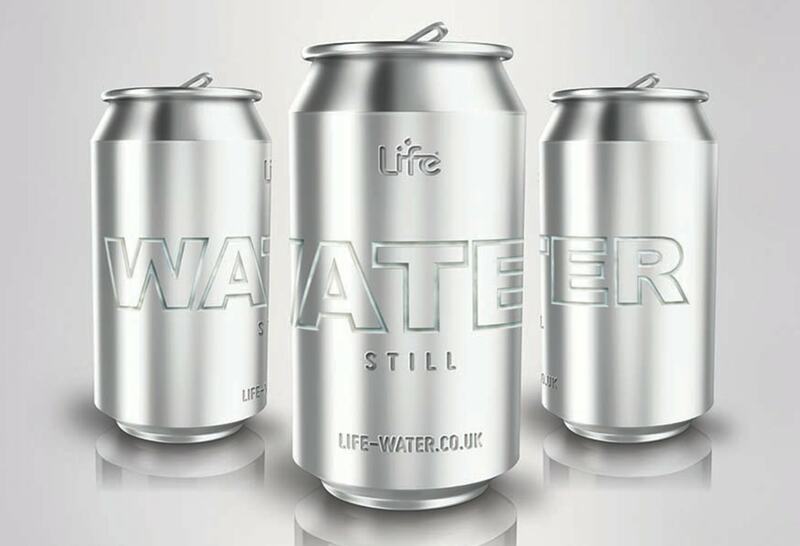 In an incredibly exciting move, the Natural History Museum will be switching to the UK’s first zero plastic canned water – Life Water cans. The move will occur late this year and will be spread across the Museum’s cafes. The dedicated team of scientists and researchers who work at the Museum know only too well the dangers of plastics entering the oceans and have expressed their concern about its effect on the marine ecosystems. The management are keen to lead by example and to take responsibility for encouraging visitors and supporters alike to follow in their footsteps towards a more sustainable future. In addition to the canned water on sale, there will be a drive to encourage visitors to join the ‘refill revolution’. Drinking fountains around the Museum will be accessible to those who want to refill their own bottles and there will be the usual recycling bins provided for disposing of any unwanted ones. The Life Water can is certainly one to keep an eye on. Made from 70% recycled aluminium, it is BPA free and its water is sourced from British natural springs. Not only is it good for your health and the environment, Life Water also donates a percentage from every can sold to help fund clean water projects around the world. So, the Natural History Museum has taken action – what about you? Are you quitting coffee takeout cups? Or stopping straws in your drinks? We want to know how you’re reducing your plastic usage and how you’re finding it! Emily is a freelance copywriter and lifestyle blogger. London based yet dreaming of beaches she loves new notebooks, long walks with her dog and breakfast meetings. Emily fully admits to eating out more than she eats in and gets itchy feet when she doesn’t have an upcoming holiday booked.